Kara Wolters, was born August 15, 1975, in Natick, Massachusetts. Currently standing at 6”7” Kara always stood above her peers and faced many challenges with her height, until she turned it into something positive! Affectionately she was nicknamed “Big Girl” and with continued support from her family and friends she found an outlet in basketball, playing on her high school team in Holliston, MA, as well as, her AAU teams. 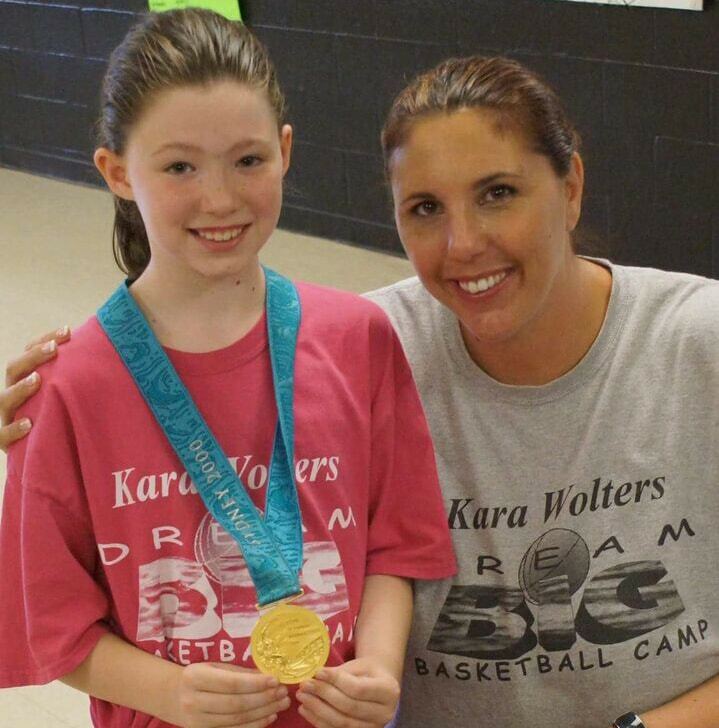 Kara comes from an experienced basketball family, so their influence was important to Kara’s journey. Her father, William Wolters, is in the Boston College Hall of Fame and played professional basketball in the NBA for the former, Seattle Supersonics. Her older sister, Kristen, played basketball at the University of Rhode Island, and her older brother, Ray played at Eastern Connecticut State University. Her family had taught her to believe in herself, so she worked tirelessly to accomplish her basketball goals. Through much determination and effort, she continued to work hard and perfect her game. The hard work paid off, and Kara was recruited to play at UCONN for Coach Geno Auriemma on a scholarship, and in 1995, with a 35-0 team record, she won an NCAA National Championship with the UCONN Huskies. 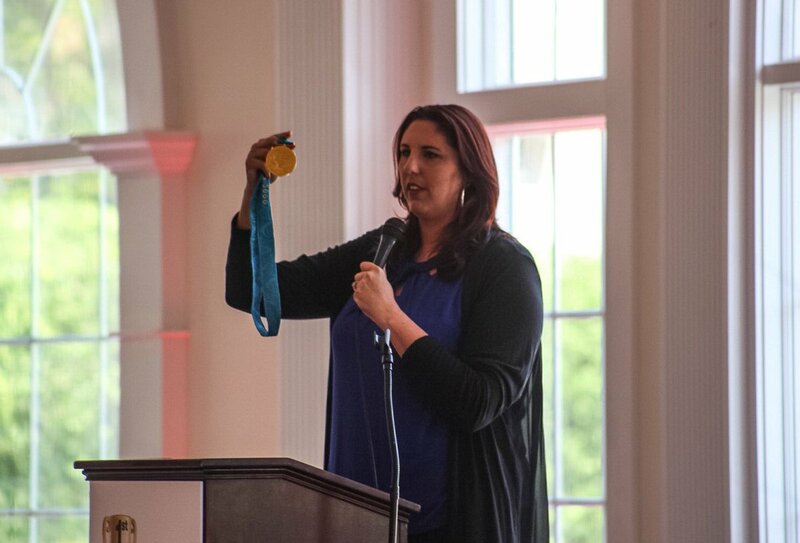 Kara went on to become one of only nine players in the world to have the elusive “set”-NCAA National Championship (1995), WNBA Championship (1999) and an Olympic Gold Medal (2000). Kara was recently inducted into the Women’s Basketball Hall of Fame in Knoxville, TN (2017). Today, Kara works as an in-studio analyst for the UCONN Women’s Basketball games on Sports New York Television (SNY). She is also a motivational speaker, a coach to young players in the Connecticut Travel and AAU Programs, and provides her knowledge and skills coaching young athletes by offering private basketball lessons year round and basketball camps for girls during the summer. Kara is married to her husband, Sean Drinan, a financial advisor with Stifel, and they have two beautiful girls, Sydney age 10 and Delaney age 9 and they live in Somers, CT. Both girls are following in mom’s footsteps and already play basketball in their town, on the travel team, and on AAU. Fill out the form and Kara will get back to you shortly.